On July 6, 1947, in a national referendum, Spaniards approved a Franco-drafted law declaring Spain to be a monarchy, but with no specific king as yet anointed. In 1969, twelve years later, the Cortes designed Juan Carlos de Bourbon, then aged thirty-one, to become king of Spain when the General’s “provisional” government came to an end. Juan Carlos had married Princess Sophia of Greece in 1962. He is the grandson of Alfonso XIII, last king of Spain, and the son of Don Juan, the logical pretender, who was too liberal for Franco’s appetite. In June 1973 Franco resigned as “President of the Government,” and appointed Admiral Carrero Blanco to head what was hoped would become the king’s cabinet. The admiral was an old Franco crony, aged seventy-one, who had been running the government for several years under the General’s watchful eye. This appointment was a tribute to Franco’s instinct for choosing efficient, anonymous, and loyal followers, in the manner of the old Spanish kings. The admiral was assassinated a few months later by Basque terrorists. Arias Navarro, the new Prime Minister, who was also a political opportunist of the first magnitude, acutely sensed the restive, increasingly explosive feeling among the people, and embarked on a cautious program of political reform. In the next two years, 1974 and 1975, cries for a change became even louder and more orchestrated. The reform measures proposed by the government now began to look toward the development of democratic liberties and more popular representation. Franco himself, during the final months of his life, had become a senile, quaking octogenarian. His five-week decline into death began in the middle of October 1975, and all side recognized that some kind of succession was now inevitable. The General’s physicians used various heroic measures to keep the caudillo alive during his final days. On November 20, 1975, Franco died, and on November 22, Juan Carlos was proclaimed king. The king lost no time in coming to grips with the political reality that facing him. Although he had been especially groomed by Franco to carry on the old regime, the new king, from the very first day of his enthronement, made it clear that this was not his intention. The king and queen quickly won the respect of the people of Spain. They had already made themselves well known by visiting all the regions of the country during the years of Franco’s rule. They went about inaugurating the opening of dams, the dedication of all kind of public and private works, and often making a royal presence at various celebrations and commemorations. These visits were mostly perfunctory in nature, but they served the purpose of introducing the amiable personalities of the royal pair to the people at large. After Franco’s death the king and queen continued these visits, and they were now received with real warmth and admiration. They also made many trips abroad with the same signal success. They brought the message that Spain was no longer an anomaly among the nations of Europe. Indeed Juan Carlos had by then become the symbol of democracy in the entire Spanish and Portuguese-speaking world. Spain’s transition toward democratic government went much faster then many observers had considered possible. In July 1976 the Prime Minister Arias Navarro, last vestige of the Franco government, resigned his position at the request of the king, who then appointed a middle-of-the-roader, Adolfo Súarez González, to take his place. In December 1976 the Political Reform Laws drawn up by the government were overwhelmingly approved by the voters. In April 1977, the Communist party was given legal status. The first general elections in forty-one years were held in June 1977. While the Centrist Democratic party won a majority of the seats in both houses, the Socialist came out a surprisingly strong second. The moderate temper of the electorate was clearly indicated by the small number of votes received by parties of the extreme right and extreme left. It was a real democratic victory. The first important order of business for the parliament was to draw up a new constitution. The one of 1931, which reflected the liberal intellectual flavor of Spain’s educated elite who had made the new Republic, was way before its time. It granted rights that most Spaniards did not want; for example, divorce by mutual consent, and it made other commitments that could not be delivered. The constitution of 1978 was much more realistic and less doctrinaire than the previous one. With a 68 percent turnout it was approved by 87 percent of the voters. Spain was declared to be a parliamentary monarchy. The civil and legal rights of all persons were guaranteed, as was freedom of speech, freedom of the press, collective bargaining, the strike, and legal equality for women. The death penalty was outlawed. A considerable amount of autonomy was given to the Basques, Catalonians, and other Spanish regional minorities who had been clamoring for self-rule. Contrary to what many foreigners think, Spain is not a homogeneous country linguistically or culturally. Despite the centuries-long dominance of Castile and the Castilian language, regional differences have continued to be very strong, and the desire of autonomy in a few of the outlying region has resulted in continuous political disruptions and frequent act of terrorism within the framework of the nationhood. The three principal regional languages of Spain are Basque, which is not a romance tongue in any sense, Catalan, and Galician. Catalan bears some kinship with old Provençal of southern France, and Galician is akin to Portuguese. The language of the Basque provinces is an ancient Bronze Age tongue that goes back some 4,000 years to remote pre-Roman days. It is not an Indo-European language. A total of about 600,000 people speak this language inside Spain, and these people have always felt themselves to be quite different from the Spaniards. Their desire for independence goes far back in time. The Catalonians are much more numerous than the Basques, reaching a total of about twelve millions. The Galician fall somewhere in between. In 1936 there were twenty newspapers published regularly in Catalan, and over one thousand other publications. The language was spoken freely everywhere in the area surrounding Barcelona, and within the city itself. Many rural inhabitants of the region did not even speak Spanish. 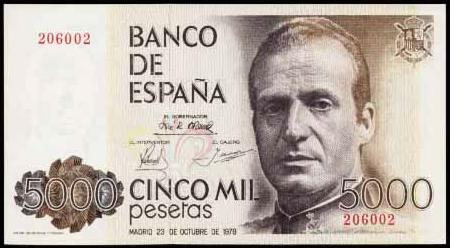 When Franco first took over the government of Spain one of his aims was to stamp out regional separation. Speaking Catalan was strongly discouraged, and publications in that language were for a time absolutely forbidden. In spite of this legal repression the language remained very much alive, although many children grew away from it. During the school year 1983-84, under the new laws, approximately half of the schools in Catalonia taught most of their classes in Catalan, and less than 5 percent taught all classes in Spanish. The region’s educational policy is, however, that all children must know the two languages. One of the factors that has kept Catalan so alive is the large number of people speaking the language. Also, in the last century and continuing today, there has been a revival of academic interest in Catalan because of its literary tradition. Galician, however, is today primarily a rural language despite its noble history, and while there has been a recent revival of interest in this language too, there does not exist in Galicia the strong feeling for separatism that impassions the Basques and Catalans. Not all Basques seek complete independence, but there is a well-organized group of extremists, the ETA (Basque Nation and Liberty), that has long fought for a separate Basque nation. This group resorts to frequent acts of terrorism to state its case. In this ongoing confrontation between terrorists and the national government, Spain’s Guardia Civil (Civil Guard) has borne the brunt of the violence. The Civil Guard was established in the nineteenth century in order to police the rural areas of the country, and it has always been regarded as a élite corps. Its officers are selected from the army, and its political alignment has always been conservative. Most of the Civil Guard went over to Franco at the outbreak of the civil war. Spaniards at large have a divided opinion about the Civil Guards. They are respected for their courage and for the protection they give the countryside, but their political conservatism is widely distrusted and disliked. On February 23, 1981, a well-organized group of Civil Guards seized the Chamber of Deputies in the Spanish Cortes and held most of the nation’s elected representatives as hostages. Some of the guards fired bursts from automatic weapons as they rushed into the Chamber ordering the 347 deputies and a handful of senators who were present to lie on the floor. At the same time as this seizure was in progress, army tanks and troops took control of the state run television station in Madrid. On the following day, February 24, other military units began to join the revolt, but troops loyal to the government liberated the television station, and in a national telecast the king made an impassioned speech denouncing the revolt and ordering the military forces to uphold the constitution and support the democratically elected government. After this the coup quickly collapsed, only eighteen hours after it had begun. Today most Spaniards do not like to be reminded of Franco, just as most Germans prefer not to remember Hitler. In Spain most of the streets that had been renamed for the General or José Antonio have now had their old names restored, and it cost the government a pretty penny to remake and replace hundreds of these street signs all over Spain. In Valencia recently when a statue of General Franco on horseback was torn down, the police turned out in case there was opposition. There was no need for it. Franco reminds the Spaniards of their civil war, and this is an ignominy that they profoundly wish had never taken place. Easier said than done. They can, however, refuse to talk about it, and often do, but in the subconscious mind this awful bloodletting still has its roots. It is perhaps the one most important event necessary for the understanding of Spain today. This hatred is like a subterranean stream of lava. It explains Spanish violence. The Spaniard likes violent spectacles, which beget the emotion of tragedy. That is why the bullfight has been so popular in Spain for so many centuries. That is why Spain has had so many bloody wars. The Spaniard, above anything else, feels that to be a whole man he must know how to face death with dignity.